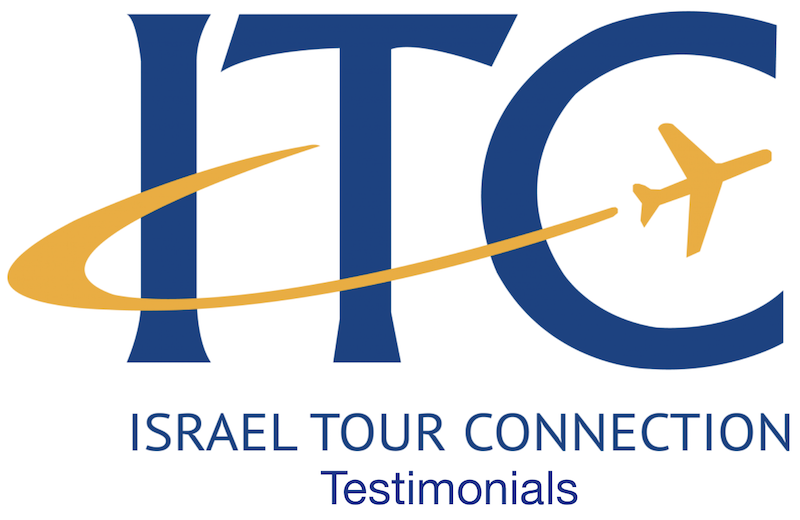 “We cannot say enough about how wonderful our experience with ITC Israel Tour Connection (“ITC”) was on our recent trip to Israel. Yafa, who was our contact, was very friendly, understanding, and helpful. She saw to our special concerns due to our ages (I am 81 and Karen is 72) and medical issues, and gave us the confidence to go forward with the trip. Since this was our first trip abroad, we had many concerns and questions, all of which Yafa patiently resolved. We later learned that she had continued to be concerned about our well-being throughout our trip, and greatly appreciate that. When we arrived in Israel, ITC was with us, starting from the time we picked up our luggage. An ITC representative was there to help us get the group together and get to the tour bus. Another representative was at the bus, and helped us check in at the first hotel. They were always available by phone, if needed. Our tour guide, Tsion Ben-david was extraordinary: he was a friendly fount of knowledge, had years of tourism experience, and gave us many insights and much information throughout the visit. He and Rabbi Fine, our tour leader, took turns giving us the historical, archeological, and political background of every site we visited. Tsion was especially solicitous of my physical well-being, due to my age, and saw to it that I was not overtaxed during the tour. The members of the group also were concerned and supportive, and we almost immediately bonded. The tour itself was extremely comprehensive, the hotels were well located, spotless, and provided comfortable accommodations. The lunch stops and breaks were well thought out, and our convenience was always a primary concern. Israel itself is almost beyond description. Apart from the historical aspects, we were very impressed by the Israelis themselves, and had a greater appreciation of what they had accomplished in the face of continual opposition. The “spirit” of the Israelis is something to behold. In this regard, Tsion was the embodiment of that “spirit,” as he told us of the ongoing struggles, and his continuing participation in them. When the time came to leave, we were shepherded throughout the departure process at the airport, with another ITC representative taking us through every step. We could not have done it in a timely manner (or maybe at all!) without his invaluable assistance. We had a very meaningful renewal of vows ceremony this morning for Eric and Shelley Kay at Kotel HaMasorti. I spent time with the family at their hotel after Shabbat and immediately sensed how much this meant to them. They were both emotional during the ceremony and expressed beautiful thoughts to each other. I’m sure their daughter Rachel was very impressed. Thanks to all in the Tel Aviv and New Jersey offices for making the arrangements. Greetings from Israel. We are having a great tour, as good or even better than the one in 2014. Roni is doing his usual exceptional service. We visited three places I had never been: Tel Dan, Hazor, and Magdala. Today we head to Mt. Tabor, another site I have never visited but have wanted to. I appreciate your arranging all the details of the tour and including the many sites that I had requested. All our group is having a memorable pilgrimage. I’ll write again at the tour progresses. My husband, friends and I just wanted to let you know what a great experience we had on our tour with Pepe! He was a fabulous guide with lots of great historical information in addition to lots of interesting personal info about the people and places in Rome. We had such a limited amount of time to see everything due to our schedule, but Pepe definitely helped us to make the absolute most of it. He managed our time extremely well, including returning us exactly on time at 1:15p to the airport to catch our cruise shuttle. Despite fitting so many sites into such a short time frame, we never felt rushed by him and even felt like he was trying to show us as much as he could without our asking for more. He was very pleasant to talk to and took care of us well. Because of this very positive experience, we have already shared info about TopToursinItaly.com and Pepe with our frnieds and family with strong recommendations and will most definitely consider returning to Italy in the future with Top Tours in Italy. We always know that we take a big chance when dealing with services online and we are very happy that this turned out to be a worthwhile experience. Please extend our thanks to Pepe!!! Yesterday at out Thanksgiving dinner with family and friends we couldn’t stop talking about our recent trip to Israel. From the time we landed in Israel to the minute we landed back at JFK, our trip was awesome!. We have created memories that will last a lifetime. Our tour guide, Reuvan Lavi was excellent. He is well learned in the history of our people, sharing insight, facts and humor to facilitate a well run tour program. Yachov, the bus driver was courteous and always on time! The many representatives that assisted, Mickey, Ren and Clyde in Eilat were very helpful. The itinerary was well planned, sometimes exhausting, but definitely worthwhile. 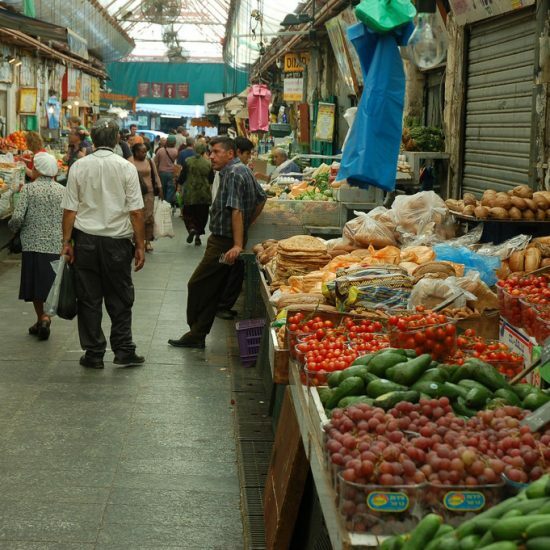 We walked, climbed, swam, shopped, and of course ate our way through Israel. The history of our people is amazing, and I am in awe of the way cities were built, with what knowledge they had, and were able to do. We definitely learned a lot. I know pleasing the fourteen of us was difficult. My suggestion in the future is just have more personnel communication. Last summer when Israel was having rockets daily, we needed reinsurance, when the time got closer, it would have been nice if you reached out to each couple, (or the single girls) with a phone call asking if we had any questions. I know Jodi was the liaison, and she tried to be the one to contact you, but some others needed to be stroked! The bat mitzvah ceremony at Robinson’s Arch worked out. We were lucky to have Barry, our Hebrew school teacher be the “Rabbi”. The girls were thrilled, and many a tear was shed during the service. In closing, I would like to take the opportunity to thank you. For my husband Larry and I, this trip was one of the best we have traveled. It was an experience of a lifetime to share with friends and to be proud of our Jewish roots and traditions. Everything went so well, and I’m so grateful to you for all of your help. There wasn’t a single issue at any point, and we especially loved our two guides (Josie and Daron). They were incredibly knowledgeable and helpful! The trip was outstanding. My wife and I agree that it was the best trip we have ever taken. I appreciate very much the attention to detail that went into the planning. The excursions that were carved out for us and two other first-time couples were great. It was a great group and Rabbi Klein and Betty are a delight to travel with. I did not bike at the Machtesh. I looked at the terrain and decided that it was probably too ambitious for me. Blaine Land and Eric Barth, who are two experienced bikers both did it, and each told me afterward that it is too difficult for someone who is not an experienced biker. I think that you should reach out to them to discuss if you should recommend the biking to others in the future. I wanted to thank you so very much for making our dream trip to Israel and Petra become a reality. It was so much more than we could have ever imagined. Thank you so much for the attention to detail and help in making it such an amazing experience. The EL AL flights, the itinerary and hotels were all wonderful. Our guide, Hilik, and driver, Saeed were both terrific. They took such great care of us everywhere and made the whole trip very pleasant. Jorge took great care guiding us in Bethlehem. Our Petra excursion was amazing. Thank you so much for your help when Mother Nature intervened and threw us off track. Thanks to you in the United States, Jenny in Israel and Desert Eco in Eilat; it was all able to be extended so that the trip could finally happen. Ali was a great guide for that experience. The hotel staffs, the local people on our daily stops for lunch, sightseeing, shopping, church visits and especially the guards and security were all so kind to us. We knew that we were in a special land and with a special people. There is absolutely nothing that could have been done to have made this a better trip or experience. Our guide and driver were wonderful and we could not have asked for anything more to improve our trip from that standpoint. Gila had all of our stops coordinated and we never had to wait when we visited a site/location that required a ticketed entry. If we expressed an interest in seeing something not already scheduled, where possible, she and the Rabbi would fit it into our itinerary. I was very impressed with ITC and their coordination of our tour. The food at the locations where meals were scheduled was quite good, fresh and abundant. The hotels were all clean and the staff was basically (but not overly) friendly and polite. The location of the all of the hotels was good. At the Dan Panorama in Jerusalem, the first room assigned to us had an interior view of the hotel rooftop. Literally, you could see nothing. I did request a room change, and they were able to provide it to us. Nonetheless, our room was antiquated and I would have preferred to stay in a more updated room (which I believe they have there). The Dan Panorama in Haifa was nicer and the food was very good. We enjoyed our stay at the Kibbutz. The timing of our connection on our return flight was a bit tight. We barely made the connection on Jet Blue, and that was only after my husband pleaded with a TSA agent to let us cut in line to go through. We were lucky in that our bags did make it through to Charlotte, however, many of our travel companions did not enjoy the same result. We actually pulled our bags on the AirTran to Jet Blue and waited in line to recheck them because we were told it was too tight a timeframe (less than an hour to our flight time) to re-check them when we came through customs. All in all, it was a great trip. I would be happy to provide any other feedback…just let me know. Thanks again for all of your efforts on our behalf! It has been a week since we returned from our interfaith trip to Israel, and every one of our participants has commented on how impressive and moving the experience was. I want to complement ITC on a fantastic job. The staff at ITC, both in the United States and in Israel, was friendly and helpful throughout the entire process. They worked diligently and creatively to put together the perfect package for our group, and they managed all of the arrangements on the ground smoothly. We made some mid-course adjustments to our itinerary based on unexpected opportunities, and they made every transition seamless. I cannot thank ITC enough for their warm and friendly style, and for their effective professionalism. Yafa, Barbara, Mark, Baruch, Mickey and Larry — Thank you, thank you, thank you! I have already begun to think about putting the next group together for another great partnership with ITC. Now that several weeks have passed since our return from Israel, my impression of the trip has not changed. I had a wonderful time. I think that I can speak for the entire group confirming that this was certainly one of the best two weeks that I have ever spent. This is in no small part, because of you. You, Shari, acted as a terrific guide, shepherd, teacher and organizer for our entire group. On return home, never a discouraging word was heard from anyone. Only good and complimentary phrases were uttered. I cannot thank you enough for all that you did. I especially want to thank you for taking me and Delicia on the walking trip through Tel Aviv on Shabbat afternoon. It was an experience that we could not have had on our own. Your ability to juggle the itinerary to accommodate the snow storm of the century was exemplary. I will eventually, send you more photographs I have more than 2500 from which to choose. I know that we will meet again. Send my regards to David. Thank you. Thank you. Thank you. Todah. Todah. Todah. I just recently returned from Israel with this tour company, and it …was certainly a great experience and better than expected. The professionalism of this tour group was tremendous; I could not have been happier with the outcome. It was a trip of a lifetime and one which I will always be thankful. I have to credit ITC for doing such a great job in helping my experience to be so worthwhile. I just want to thank you for organizing a wonderful tour for our synagogue! It was great seeing you in Jerusalem! I hope you had a good time and hope you did not get stuck because of the snow. Gila, our guide and Nissim, our bus driver were really on top of everything from the moment we arrived, until we we left for Eilat! Eilat was a lot of fun, especially being able to see our niece and snorkel too! Hotel was fine and it was very easy to get every where from there. We are about to board our plane from Eilat to tel Aviv and then home. We are having a wonderful experience in rabbi spiegels tour. I just want to let you know that we had an incredible experience in Poland. Great guides. We actually found my husbands mothers home. Our Guide went to city hall as well as asked elderly people in area and neighbor who remembered. Also found my husbands grandmothers grave which was incredible. Standing and saying Kaddish for her was a moment. Train ride to krakow was fine. We were definitely taken care of by our guides Please know that I appreciate all you efforts. Thank you again so much Joce and Leo B.
Ethan end Leeba’s group was absolutely the best synagogue group I’ve ever done. They were ALL so interested, engaged, committed and knowledgable. It was a pleasure being with them and guiding th; sharing their experience. Thank you so very much! Keep ’em coming! I hope I can do more with you! Right now, this very moment, we are looking over the Kineret, lounging in beautiful Ramot Resorts Hotel and could not wait to let you know how fantastic our trip has been. So we are writing to you even before we return! Every place you planned for us has been fantastic! And we know you knew exactly what would thrill us! Ramot Resorts is breathtaking! Our personal log chateau is filled with every modern elegance..complete with a jacuzzi, sauna, and fireplace. Last night’s dinner was a delicious outdoor BBQ – a perfect welcoming touch. You really knew what would be over the top special for us! Our three weeks with Volunteers for Israel/ Sar El was on an Armor Communications base, with 3 other couples from the US, 1 couple from So. Africa, and 3 long time fraternity buddies. Fabulous people, all with one mind: making sure Israel is perfect and at all times ready. We had a great group. The weekend hotels you planned for us in Netanya (Island Suites), Tzfat (Rimonim), and Tel Aviv (Panorama), were creme de la creme! Each had such special beauty and charm – each hotel captured the flavor and essence of its locale – and we truly thank you! We could go on and on, but we’ll do that’s when we see you. Next week in Jerusalem! What a more fitting way to spend Passover?! Hag Sameach to you and your whole family. What a extraordinary trip we had! Month by month our travel consultant Yafa Daisudov guided us through the mechanics of getting our group of 13 Jews and 13 Christians to Israel. The hand-off to Mickey Rosenvasser and her team “on the ground” in Israel was seamless. The hand-off to the team “on the ground” in Israel was seamless. Mark Deckelbaum skillfully guided us through all aspects of our tour with energy unflagging and knowledge endless! Whether it was Larry Ritter setting the tone at our first meeting when the trip was just the kernel of an idea – a hope and a dream – or Moshe navigating the bus uphill and around Israel or Tami sorting through travel arrangements or Barbara welcoming us into her home for an educational lunch in Tekoa, it was “the trip of a lifetime” for our participants – our fellow pilgrims – almost all of whom were first-time-to-Israel travelers. The best testimonial I can give is that we’re planning to do it again – with ITC – soon! A big todah rabbah for all of your help putting together such an amazing trip. The group had a wonderful time, and I am sure we will be hearing more about it as people come out of their jet lag haze. Those who did not go on the extension have arrived home safely and a few will share some words at kabbalat Shabbat tonight. When Cori gets back and we are both out of our jet lag phase, we are going to process things and will be in touch, as well, just to share thoughts. It was a great trip, we loved Gila, and really and truly had a wonderful time. Thank you, both, for helping to make this trip so wonderful! Please let everyone at ITC know how thankful we are! It was the greatest, best, most fun, interesting, trip I have been on in a very long time. My son loved it and so did I… U guys are amazing!! I find it interesting that today, Dec. 25, 2013, Christmas Day, I am writing this tribute to our Israeli guide, Graeme Stone. Bill and I were fortunate enough to be able to have him to ourselves for seven days. What a monumental treat and life changing experience. He brought the story of Israel to life. If you are traveling to Israel and are looking for someone really special to drive and guide you–get in touch with Graeme Stone! Bill and I come from different backgrounds and religions. Our political views, while similar–often have divergence. With this information, Mr. Stone artfully navigated us through the Israeli experience in a most dynamic way, incorporating this calculus into our experience. I might add that Bill and I were not shy with our questions. We barraged Graeme relentlessly–on many fronts–albeit, politely. There are not enough superlatives to describe him. He is beyond excellent–so well read–so poised–so full of vision! I just wanted to let you know how much Amy and I enjoyed having you as our tour guide in Israel. We appreciated your depth of knowledge and your sense of humor. And it was good seeing the sites from a rabbi’s point of view. I liked how you were careful to distinguish facts from legend and speculation at the ancient locations. You were also sensitive to the mobility challenges of some in our group over the hilly streets in Jerusalem and other locations. And we appreciated that you figured out how to make adjustments in the tight schedule to accommodate the group’s requests. You enhanced a wonderful vacation for us. We wish you the best of luck in your future endeavors. Dear Donny, My wife and I would like to thank you for your help in making all of the arrangements for our recent “Israel Heritage Tour” that resulted in an absolutely fantastic experience. This, our first trip to Israel, was nothing short of MAGICAL. 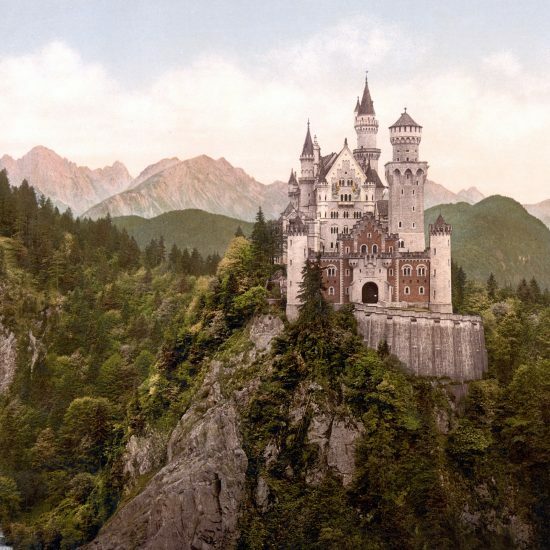 The tour package was very well organized, and all of the accommodations were first rate. The hotels in Tel Aviv, Eilat and Jerusalem were terrific and the “Israeli breakfasts” were sumptuous!!! What was most impressive was the way that the tour wove together the history, religion and geography of Israel and made the Bible tangible and alive. During each day of the tour, all of our every needs was provided for. And the arrangements for hotels, restaurants, tourist sites, etc. were flawlessly executed. Our tour was a comprehensive, concentrated immersion into the life and history of Israel. Thank you again for helping to make our dream come true; Israel is now a real part of our life. Donny, I want to thank you and the ITC team for all you did to support and arrange our trip. While I will speak only for myself, I know that Medows and the Martins feel much the same. The tour design was perfect. While I know you didn’t arrange the 12 days of perfect weather we had, everything else you touched was extraordinary. The accommodations were wonderful. The sequencing and pace were well thought out, and guide nothing less than amazing. I can’t recommend Yuval DeJoannes enough. Several of the group were actually moved to tears when we had to say goodbye to him. He artfully blended history, civilization, plate techtonics, culture, regional political perspectives and comparative religion into the narrative in a way I’ve never seen as well done. But beyond all expectations, the emotional impact for me was overwhelming. It is almost impossible, this soon after, to speak about that part of the trip. Some of the insights Yuval helped trigger as we moved around the country had me struggling to maintain my composure. 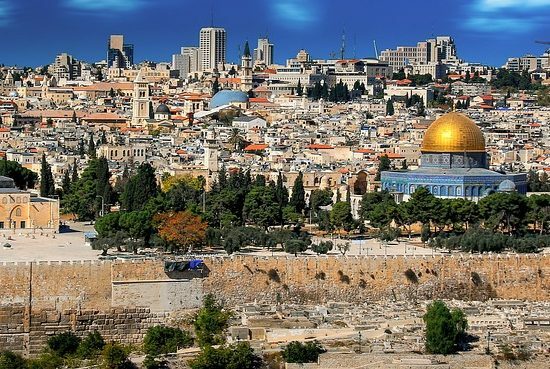 We will all recommend ITC and this 12-day comprehensive tour, specifically, and will let our friends and fellow shul members know that despite all the travel these three couples have done, that we believed this to be the trip of a lifetime. Please accept my thanks and please pass on our thanks to Yuval DeJoannes. He is one more of Israel’s national treasures. Our tour dates were August 12-26. It was an excellent trip. You and everyone in the office were helpful. The tour guide we had was excellent (Aaron, can’t remember his last name at the moment). He was well informed, thorough, humorous – a great guide. There was a good balance of tour and free time. It was well organized and Micki in Israel was very nice and helpful. The accommodations were also excellent. The food provided on the tour was also very good. Also, my husband had special dietary needs (gluten free vegan) and everyone was very willing to accommodate him as best they could. We were happy to have extended our stay to include Eilat – we really enjoyed it. I’d be happy to be a reference for potential tour goers. My husband and I both want to thank you for doing such a wonderful job planning our first trip to Israel. The tour you set up for us was perfect and Aaron our guide was wonderful. His knowledge and passion was evident and infectious. The group was smalll as we were hoping for.We all hit it off and have all stayed in touch to share pictures and hopefully meet up again. I have enticed them all to stay with us in Panama. But most important of all was the feeling of being in Israel- as you said ” to finally come home.” It was amazing. We will never forget it and want to go back- I believe we really will. You were also right about the hotels- they suited us ideally. They were perfectly located and offered everything we could want. It’s amazing how you could pick so well for us.Considering the very short notice we gave you to finalize our plans you did a remarkable job- above and beyond as they say. The ceremony was really very special and meaningful for us. I think the boys got a lot out of it. Our guide, Eilan, (who is a special person) really helped me understand just how special it was because it was about our family and the boys needs, not about appearances or videos or the party. I believe that the trip to Israel made an impact on them and they are beginning to understand. I appreciated your thoughts that by studying the imperfections of the very real people in the Torah we can learn and maybe do a little bit better – so in this case, maybe Joel and Josef will accomplish what Jacob and Esau did in a lot less than 20 years! I thought you were the perfect Rabbi for this occasion and doing it at the newly opened section of the wall – with such intimacy and privacy that we had was beyond words. It is a day and time I think we will hold special in hearts for the rest of our lives. Thank you to all on the 3 Rabbi tour. What an amazing tour it was and tour guide Yair Herdion was incredible! His knowledge and friendliness and his trumpet did an amazing job! I was very impressed with how ITC Tours handled our trip to Israel.